I sure hope everyone is having a fantastic new year so far! For every new year's eve party when I was growing up my mom had the family wear polka dots and as many round accessories as possible. At the turn of the clock of each new year we had to gobble down twelve grapes for good luck. I don't have the grapes anymore. I just don't agree with stuffing myself with food at such a late hour and I think this new year's was the first in which my family and I were sound asleep before midnight! However, I do my best to find round patterns to wear if we go out to eat. Oh, traditions! You have to love them. Here's another round object that I think is wonderful to have for new year's and really anytime of the year. Healthy, delicious cookies. I love cookies! If I could eat them every single day I would! 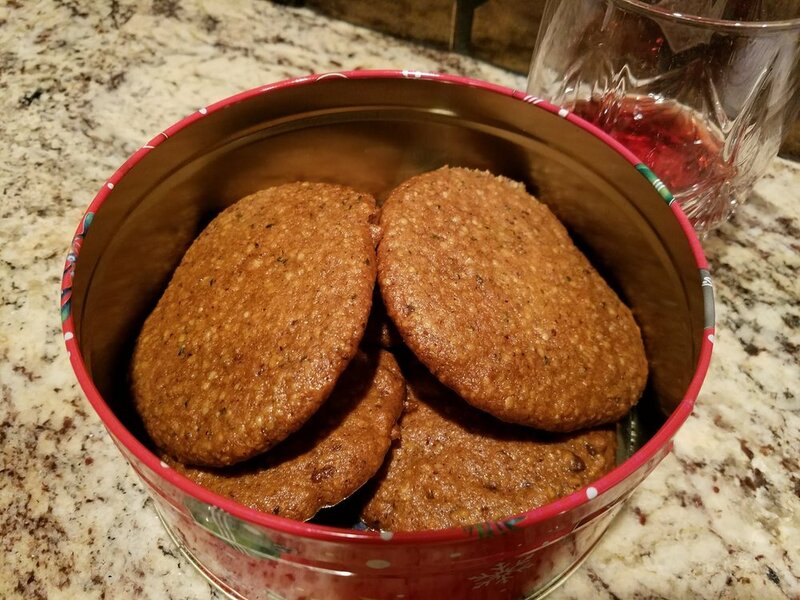 You're in luck because I have two clean cookie recipes just for you created by my friend. These cookies are perfect for diabetics and those who don't like dessert too sweet. Even those who have a sweet tooth will love both of these recipes. Coconut sugar is low glycemic and can always be adjusted to taste. But always remember sugar is sugar. My friend is nine years old and he has a passion for food. Since my friend can't have almonds these cookies are made with hazelnut flour and peanut butter powder. You could easily use organic peanut butter if you can't find peanut butter powder. For those who can't have peanut butter, I recommend using almond flour and raw almond butter. These cookies are so easy to make that they are a wonderful way to get everybody in the family to help out! But they are addicting so remember to count how many you eat or else you may end up eating the whole batch. Have fun baking! 1. Preheat oven to 350F. Line 2 cookie sheets with parchment paper. 2. Place the Hazelnut Flour, coconut sugar, sea salt and baking soda in the food processor. Pulse a few times to combine and transfer to a large mixing bowl. 3. Lightly beat the eggs with the vanilla in a small bowl. 4. Melt the coconut oil on the stovetop on low. 5. Add the eggs, melted coconut oil to the large mixing bowl. Mix to combine. 6. Add the chocolate chips in last. 7. Drop 1 tbsp sized cookies into the cookie sheets, allowing room for expansion. Flatten with a fork. 8. Bake for 10 - 15 minutes on middle rack. 6. Add the hemp seeds in last. Do You Want To Live Or Do You Want To Thrive?